Ubiquitin-conjugating enzyme 2C (UBE2C) participates in cell cycle progression and checkpoint control by targeted degradation of short-lived proteins. As a conjugating enzyme, it directs polyubiquitination to preferred lysine in the substrates. In addition to its well-known role in cyclin B destruction that is essential for exit from mitosis, UBE2C also plays an important role in mitotic spindle checkpoint control. Cells overexpressing UBE2C ignore the mitotic spindle checkpoint signals and lose genomic stability, which is a hallmark of cancer. UBE2C expression is upregulated upon malignant transformation, and amplification of UBE2C is often seen at the chromosome level in cancers in a manner similar to c-Myc, which is directly upstream of UBE2C. UBE2C levels are upregulated in a wide range of solid tumors and hematological malignancies. The level of expression correlates with the aggressiveness of the tumor. High UBE2C expression is predictive of poor survival and perhaps high risk for relapse. UBE2C immunochemistry may be integrated into the diagnosis of thyroid malignancy and gliomas. 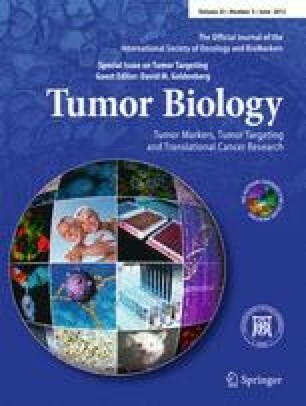 This minireview summarizes what is known about the function of UBE2C focusing on its role in the regulation of spindle assembly checkpoint, its part in tumorigenesis, and its potential as a tumor marker for various cancers.